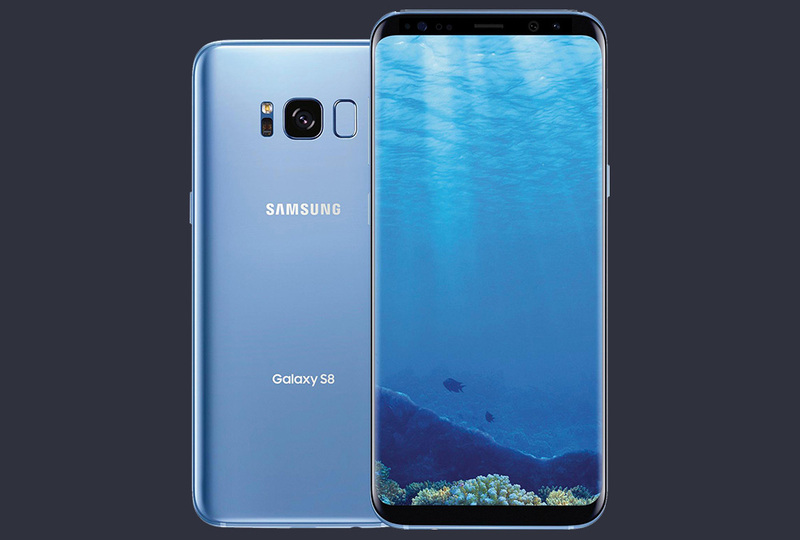 The Coral Blue version of the Galaxy S8 and Galaxy S8+ should launch in the US as early as tomorrow, July 13, according to a reliable source of ours. Best Buy, as has been the case in recent years, nabbed the exclusive on this colorway and will sell both as carrier and unlocked models. Our understanding is that Best Buy will sell Verizon, AT&T, and Sprint versions in this new colorway, plus you’ll be able to choose the color in the unlocked variety too. Previously, the unlocked model could only be purchased in Midnight Black in the US. Best Buy hasn’t set a specific street date for the phone, but is telling stores to begin selling it upon arrival and that should happen tomorrow. On a related note, we’re told that Best Buy may host a promo that slashes up to $250-off of the Galaxy S8 in the 4th week of July. The promo will include a $150-off discount, plus an additional $100 via trade-in or other measure. Should we receive additional details on that deal, we’ll let you know. Either way, be on the lookout for the Coral Blue Galaxy S8 tomorrow. The Verizon version will show up at this link. UPDATE 7/14: Tough to say what Best Buy is waiting for other than inventory to arrive. But as of today, the devices still aren’t up on their site, which is odd, because they have imagery for each variant ready to go on the backend. Either way, when the device is live, you’ll find them at the links below. UPDATE 7/18: We have now been told to expect the device on July 21. UPDATE 7/19: And it’s official! July 21 is the day, plus there are big discounts to be had, like $400 off.